케이프타운, 남아프리카 공화국의 33 사우스 부티크 백팩커스 | 호스텔월드에서 예약하세요. The fun doesn't start on the weekend, we make the most of our week days too. Stay with us for a month and you will get 10% discount. Friday is BBQ day (locally known as a Braai) so come join us for some tasty meat and great people. Forget everything you once thought or believed about backpacking and join us on a new and unique journey in Cape Town! 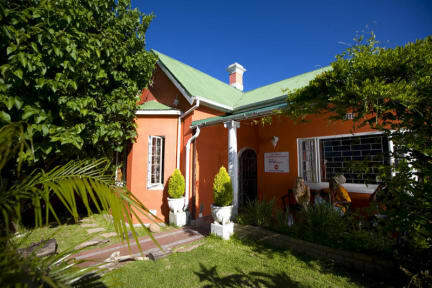 33 South Backpackers is a true home away from home and the perfect way to enjoy your stay in Cape Town. 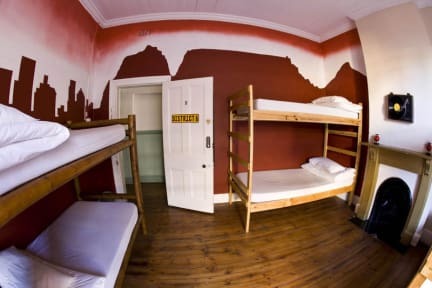 We give you a unique backpacker experience filled with adventure combined with the luxury of clean dorms, percale linen, lockers with a safe and more. We're a stones throw away from all the exciting things to do in Cape Town so you don't miss out on any of the action! Observatory (Affectionately called 'OBS' by it's locals) is the student neighbourhood of Cape Town. It is characterized by cheap beer and good food topped off with an array of artists and musicians that leave you begging for more. It has been compared to Fitzroy in Melbourne, or Palermo in Buenos Aires. There are daily specials available - and you can discover OBS on our FREE WALK TOUR! Email home, post your pictures on Facebook and stay on top of business! Free Wireless Internet and a computer in the reception area - free for you to use. 33 South is now a Bookcrossing venue - exchange your travel books, and watch their journey around the world through this awesome online tracking system. Our shelves are packed with books brought in from all over the world so you can take time off from all the fun to do some reading! For news and events, like the 33 South Backpackers Facebook page and follow us on Instagram and Twitter!